We never remain who we once were. We never become who we start out to be. Present Perfect Continuous is about change through time. Created specifically for the Groundstory exhibition, the work looks at change through items left behind and the memories attached to them. The title is a grammatical term for expressing things that began in the past and continue to present time. “You have been changing since you were born” is an example of the present perfect continuous. Such are the transitions we experience throughout life. Whoever we grow to become, all of us retain parts of our earlier selves through memories, keepsakes, beliefs, and other connectors, both tangible and intangible. Present Perfect Continuous as an artwork began seven years ago upon my move to Atlanta. Though I was returning to the deep South of my upbringing, I nonetheless experienced the profound displacement that comes with moving to a city where you know no one and have no particular connections. I found certain things familiar; like traditional southern cooking, thick accents, and the smell in the air early on a damp summer morning. Still, though I was in the South, I was no longer of the South. A few months before my move, I had begun scanning some old childhood photos and slides. When I unpacked the originals in Atlanta, I studied them for a bit, considering that I was now living not all that far from where those photos originated, yet I was a lifetime removed. 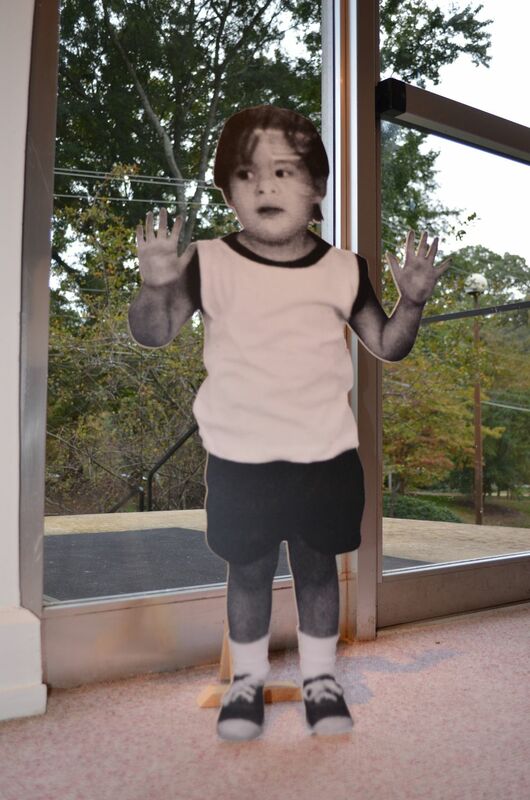 On impulse and for no conscious reason, I began digitally removing myself from the images that document my childhood. I tacked a few of the printouts on a board and went about the business of building a life in Georgia for the next seven years. When the opportunity to exhibit in Groundstory arose, I returned to the photos. I have incorporated both the background images and the cutouts because I was in those places and that was me, but I am no longer there and that is no longer me. 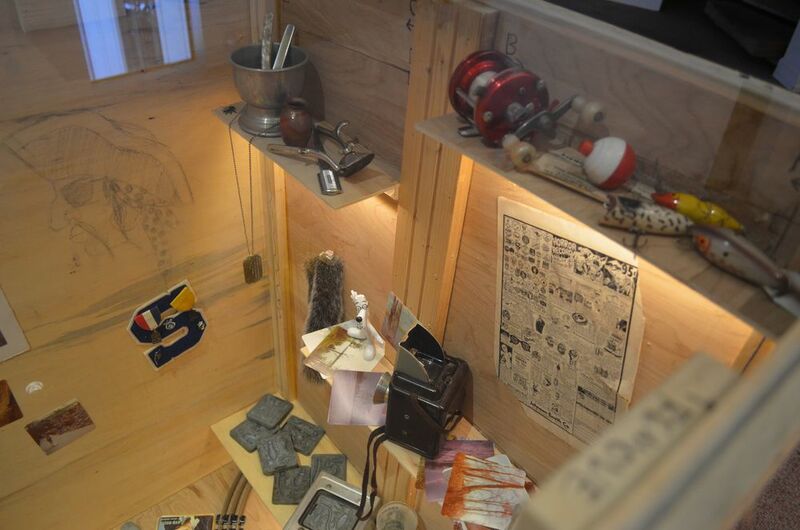 The shipping crate serves as an archive, displaying items that evoke memories or points in time from my early years in the South, conjure the person I used to be, and mark the person I am today. These items—and the memories they stir—are present, perfect, continuous.